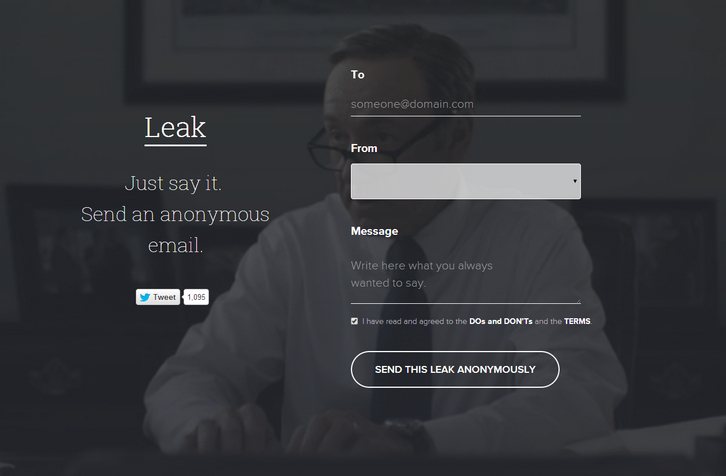 You can just say it, send an anonymous email with Leak. They believe in providing a tool to connect with people on a more candid and personal level. Being anonymous among while staying playful isn’t possible anywhere else. Leak lets you be yourself and share without judgment. From silly nothings to sincere sentiments, speak freely. Remember, you’re among people you know. The best conversations happen when they’re supportive constructive or ridiculously hilarious. Be considerate of others, even if you can’t be seen behind the mask. So popular its down now! Surely this misconceived idea was ripe for misuse from the very beginning? Don’t we all get enough unsolicited email already?